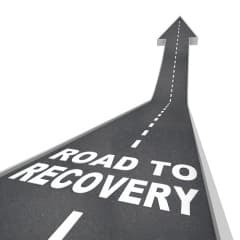 The Recovery Community believes in the achievable goal of life long sobriety. Addiction is a chronic, progressive disease, and even with a one-year treatment program, relapse, jail and even untimely death are still possible. We have created a protocol of treatment for long-term sobriety that imposes greater accountability on the individual, his/her family and the treatment center. By shifting the focus from 30 days to long-term, we provide goals that reach into the future and create a continuing care plan. Our protocol begins with prevention and education and we aim to educate people on the dangers and risks of drug and alcohol addiction as early as high school. Prevention and education is commonly known to be one of the most powerful tools to stopping a problem before it starts. Even if an individual continues down the path of addiction, education provides them with the knowledge to find help when they are ready. We support a long-term seamless continuum of care, and by this we mean how the information is transmitted from one person to the next. We want to be sure that the Interventionist passes on all of the client’s information from previous treatment stints, interventions, therapy and on, so that the best possible outcome can be reached. The drastic difference in these numbers is due in large part to the testing and monitoring that the Recovery Community conducts. From the beginning of the treatment process we assess the need of the individual and make sure that he/she is accountable and checking in from the beginning. Learning how to cope with the desire to relapse and getting to the root of the problem is where true recovery begins and is what the Recovery Community is most successful at.